Aloe Vera is a commonly found plant loaded with exceptional medicinal qualities. From ancient times the healing properties of aloe vera juice is known to man. Because of its healing touch the aloe Vera plant has been honored with titles like The ‘Plant of Immorality’ or ‘Natural Healer’ or ‘The Miracle Plant’. The fleshy leaves of this plant contain pulp, which is rich in nutrients and fibers, which are helpful for the body. The plant is certainly full of rich ingredients and the Aloe Vera Juice is rich in antibiotic, antioxidants, helps too removes scars and pain and also stimulates cell growth. Let’s see some of the amazing health benefits of Aloe Vera Juice here on this page. Pure Aloe Vera gel is the ideal natural slimming supplement which is gaining momentum all over the world for as a super food. 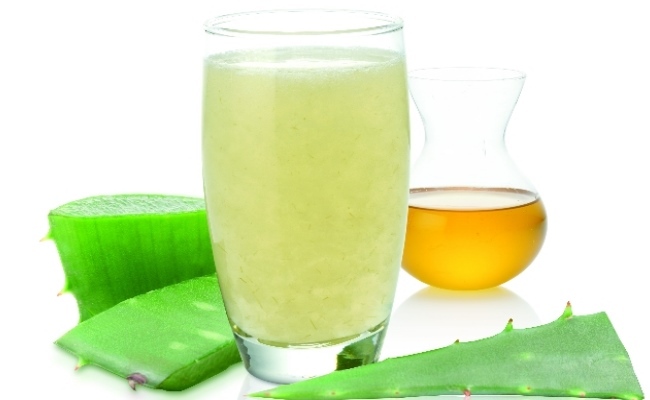 With the help of Aloe Vera juice, weight loss can be done effectively and naturally. The anti-oxidants present in its juice help you lose weight quickly by slowing down the growth of free radicals. Aloe Vera juice is also known to increase the metabolism of the body thus reducing the Body Mass Index (BMI) this turns the fats and carbohydrates into energy. This juice also helps in the production of collagen, the protein that leads to development of muscles. Collagen also leads to speeding up metabolism and it makes sure that the food is stored in the lower intestine just for short period of time. The Aloe Vera gel is packed with vitamins, minerals, amino acids, fiber, enzymes, antioxidants and lots of other essential nutrients vital for the body. The richness of minerals and proteins present in this juice helps to burn calories and reduce the body fat. Aloe Vera is high in fiber and it helps the body in absorbing all the nutrients from our food and along with its detoxifying properties it increases protein absorption and improves bowel regularity. It also reduces the amount of unfriendly bacteria in the gut and so keeps the intestinal flora in balance. The body’s metabolism is directly related to toxic free body, a clean and healthy colon, digestion and proper elimination of waste. Since Aloe Vera helps maintain these the body’s metabolism increases naturally and allows it to burn energy faster and thus aids in weight loss and also gain lean muscle. And therefore, a healthy colon and digestive system naturally leads to a healthy and glowing skin. So lose weight without losing the glow on your skin. Aloe Vera can also be used as an energy drink and can give instant energy to anyone who has deficiency of minerals and vitamins. The Aloe Vera juice can also relieve you from minor infections and chronic pain. Some of the minerals found in the Aloe Vera are Calcium, Sodium, Iron, Potassium, Manganese, Zinc, Folic acid, Vitamins A, B1, B2, B6, C, and Amino acids. All this together work towards strengthening the body of the user. Drinking aloe Vera juice helps to maintain the pH balance of your skin, which is between four point five and five point five. Maintaining the pH balance of your skin helps in fighting fungi and bacteria.